Don’t give into the shopping frenzy of large department stores. Get your Christmas shopping done in the relaxed and peaceful environment of Tremblant’s pedestrian village. With more than 30 specialized shops to choose from, you are bound to find the perfect gift! To help inspire you, we have rounded up a few gift ideas that will give you a preview of what is available to you at the resort! Spend five minutes in a toy store and try not to be amazed. It’s pretty much impossible! Childhood memories will flood back instantly. Finding the right gift might seem simple with so many great options in front of you but be aware: you might find it hard to choose just one. To help you get started, we have narrowed down the options to feature four great gift ideas sure to please both you and your tiny tot. 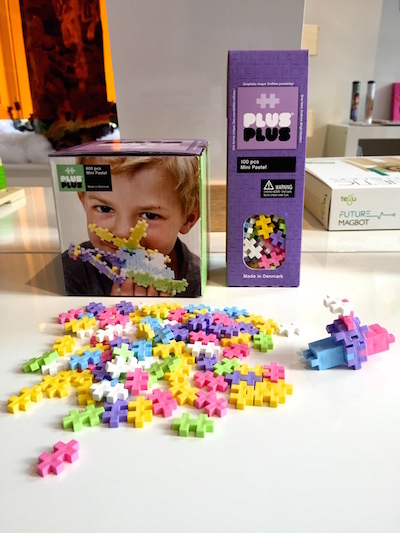 Puzzle Plus Plus at Bagnole et Bobinette – A new kind of puzzle, giving your child endless opportunities to express his or her creativity. 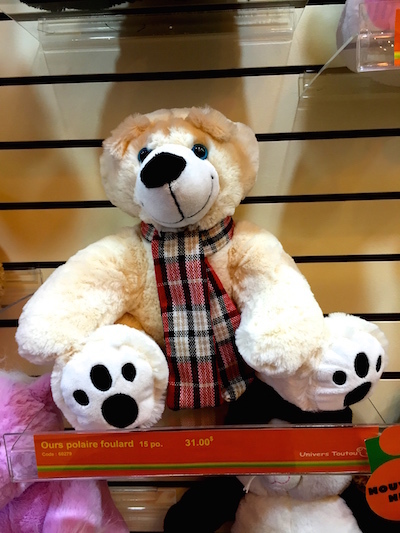 A gift-card for a stuffed animal at Univers Toutou — Your child can build a custom plush toy: they can choose their favourite model, give it a name and even stuff it themselves. One-Piece Pajamas from Hatley Ready-to-Wear (For Her) — A product designed in Quebec, sure to keep baby warm as she sleeps. 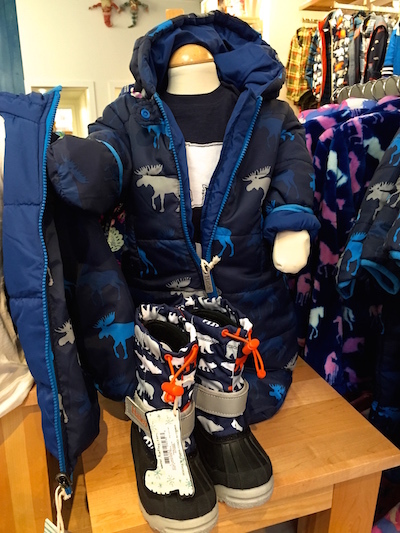 One-Piece Winter Jacket from Hatley Ready-to-Wear (For Him) — A product designed in Quebec providing warmth and comfort for those cold winter days. Finding a gift for a trendy person can be hard. Even more so when they enjoy the little luxuries of life. But style that is not practical is useless. That is why you want something that she can bring everywhere, and that will be as stylish as it is useful. The solution? Treat her to quality products that will stand the tests of time and enduring style. 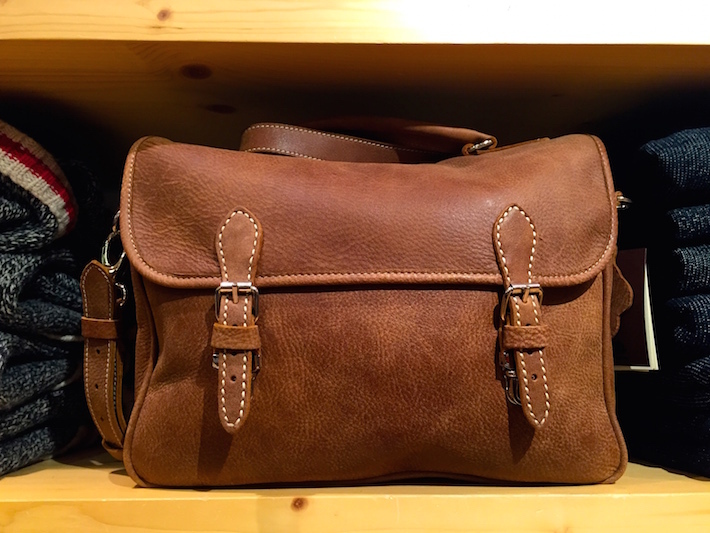 Leather Bag from Roots (For Him)—An all-leather bag, ideal for daily life or travel. 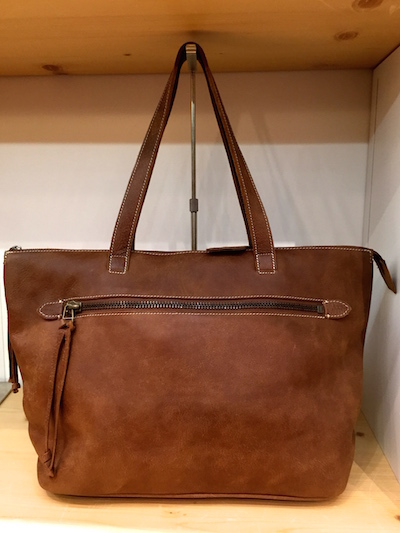 Leather Bag from Roots (For Her)—Genuine leather. A practical bag, ready to take on every new day. There are a million and one gift options for those who love to be active. Be bold and surprise the ski lovers in your life with colours or patterns that are as unique as they are. 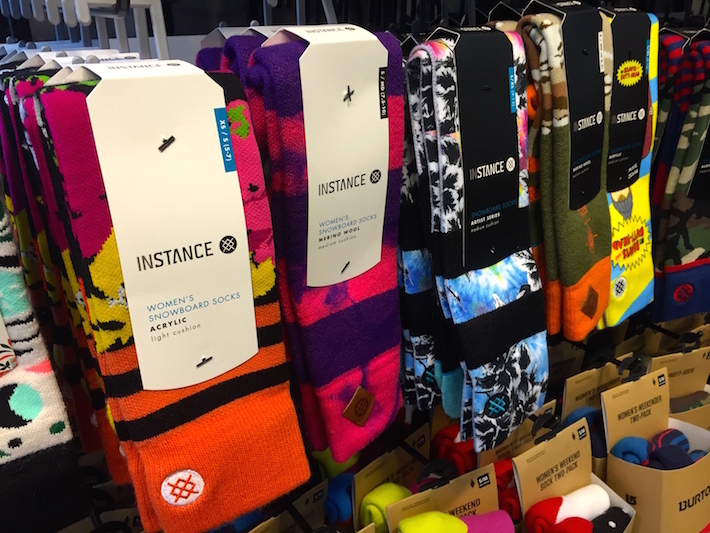 Colourful patterned wool socks from Adrénaline—An original twist on a classic winter clothing item. 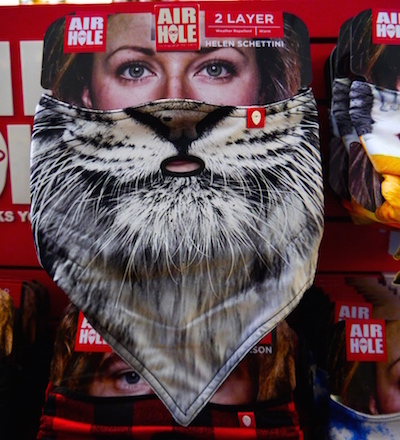 Ski mask with animal designs from Adrénaline — A fleece-lined neck warmer that will surely turn heads. 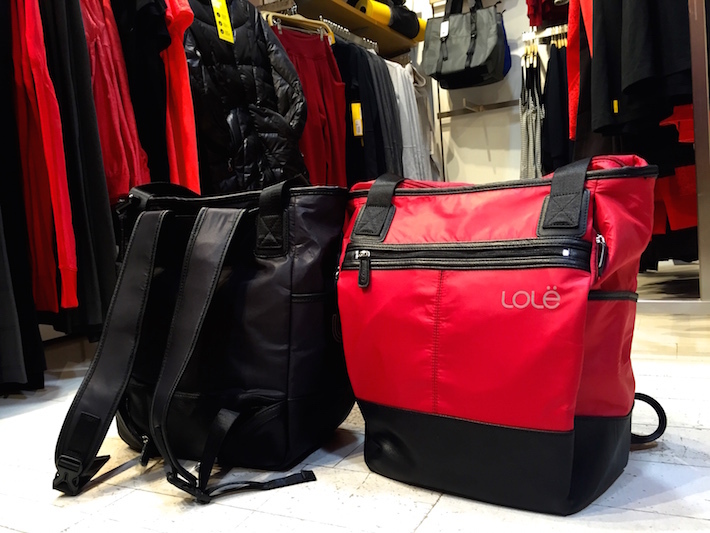 A Tote that converts into a backpack from Lolë (For Her) — A practical two-in-one bag that can transition from daily life to the gym in seconds. Everyone likes to receive sweet treats over the Holidays. Gourmet gifts are perfect as stocking stuffers or host gifts. Even better if those products are locally sourced! 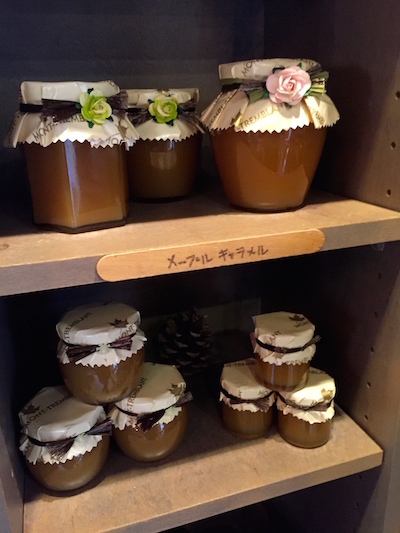 Homemade maple caramel from The Sugar Shack—Available in various sizes and always delicious. 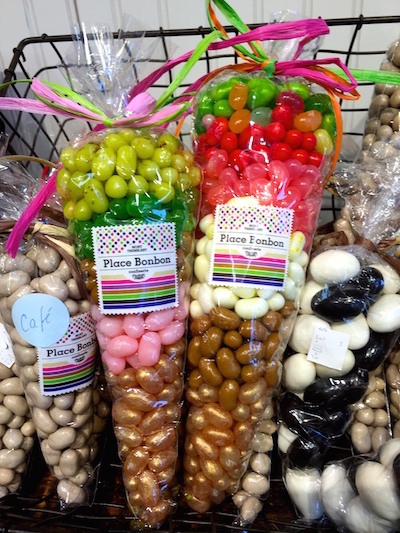 Assorted candy from The Candy Shop—Create an assortment of your favourite candy or choose from one of the many prepackaged ones. 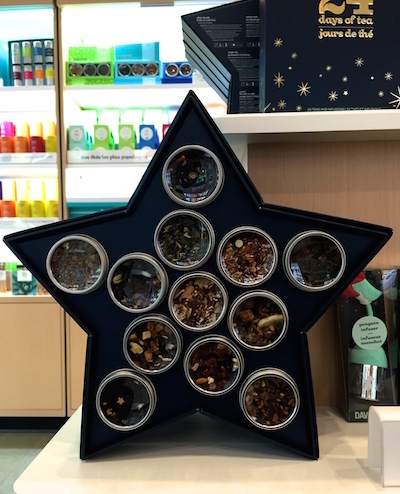 12 Christmas teas from DAVIDsTEA—An assortment of 12 different teas that look and taste like Christmas. 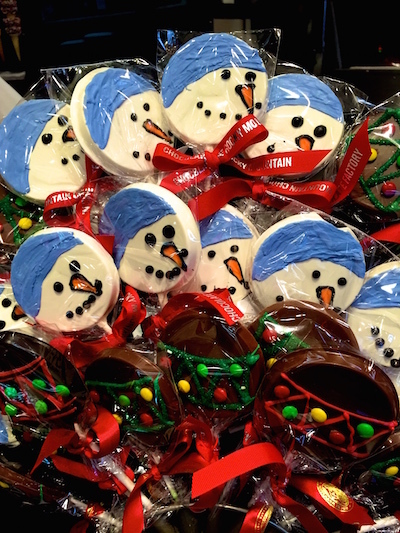 Chocolate snowman lollipops from the Chocolate Factory —Beautifully decorated festive lollipops. Feeling inspired? Find these gifts and much, much more at Tremblant’s pedestrian village. See for yourself and be ready to tackle the Holidays!